At the Scene of the Crime: Can Lightning Strike the Same Spot Twice? Can Lightning Strike the Same Spot Twice? Hélène Lafaille is dead. When Florence Valentine entered her room, she discovered the woman lying on the floor, lifeless. She’s apparently been murdered: there’s the wound of a blunt instrument on her head, and the police are summoned. But when they arrive, they make an even grislier discovery. Hélène’s twelve-year old boy Roger is outside, dead. He’s been viciously murdered, his face all bloodied. It turns out that Roger was a beast whose hobbies included tormenting cats and murdering birds. Not only that, it turns out he was in the way of a sizeable inheritance from Monsieur Honoré-Hyacinthe-Henry Van Aa. But the strangest thing turns up at the autopsy: the blood on Roger isn’t real blood. In fact, the little monster died of poison. But why would anyone murder someone and then pretend to murder him all over again??? Things get even more complicated when it turns out that Van Aa died later on the same day as Roger—really some very convenient timing for the other inheritors, wouldn’t you say? This is the plot proposed by Stanislas-André Steeman in Le Trajet de la Foudre (The Path of the Lightning). 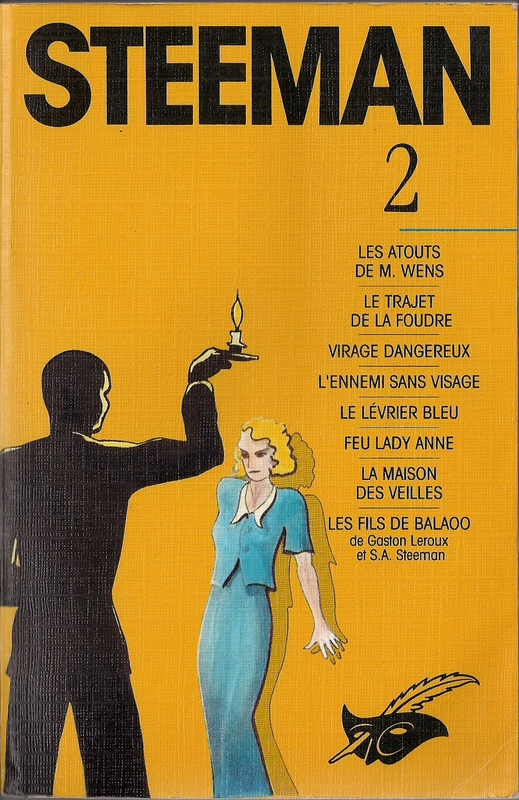 This book was originally published in 1933 under the title of L’assassiné assassiné (although the title’s a bit unclear, you could translate it as The Murdered Murder Victim). 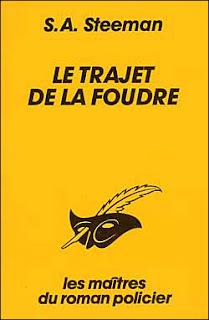 According to the afterword found in my omnibus, as well as the book L’écrivain habite au 21 (The Writer Lives at No. 21), Steeman revisited and rewrote this book twice, once in 1944 (when the title was changed) and once in 1959. I read this latest version, and you can imagine my confusion at first when dates in the 1950s are referred to and characters say they were born in 1930 or 1931! 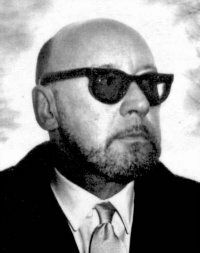 Steeman wrote The Murderer Lives at No. 21, a book I read a while back and which I still consider the best detective story I read so far this year. The Path of the Lightning is another excellent performance, and this time, Steeman brings in his series detective, Wenceslas Vorobeïtchick (better known as M. Wens) to investigate the case. The result is very good, but this time, I’m proud to say, my hand was just slightly quicker than Steeman’s eye. At least, partly. It was due to a mistake I made in misreading a sentence at first. I quickly realized my mistake, but the idea implanted by my mistake gave me the solution to part of the problem. Most of the plot was still a surprise to me, but I knew what a major secret was fairly early on in the story. Despite that, The Path of the Lightning made for an excellent read. It’s a very clever book that plays fair with its clues and builds a complex mystery out of them. It’s also got a sense of humour, but it’s a far more sardonic sense of humour than the one at play in The Murderer Lives at No. 21. M. Wens made a pleasing detective figure. He always seems to be at the centre of the action and employs several clever stratagems to get at the truth, such as when he and a suspect go out drinking (with the suspect unaware of Wens’ identity). The result is... memorable, shall we say? Overall, I highly recommend The Path of the Lightning—at least, the version that I read. 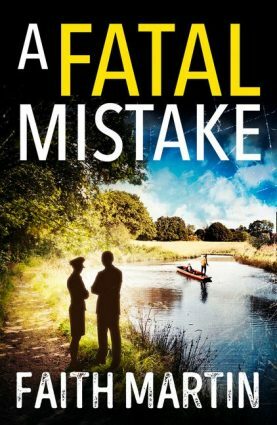 It’s a very clever mystery with a good detective and a bit of a sardonic sense of humour. The setting is Belgium and occasionally you get some local dialect, which helps to add colour to the proceedings. But the book’s central attraction is its mystery, and on that front it works quite well. It plays fair with its clues and it’s interesting to see a book that defies one of detective fiction’s more traditional conventions— I haven’t seen all that many books where the entire plot revolves around the murder of a child (though a child has occasionally died in the proceedings), but here Steeman makes the central murder victim a nasty little bugger indeed, just ripe for murdering. Steeman is a very interesting author, but sadly, only two books of his have been translated into English, and that was quite a while back. Steeman has been translated into several other languages, but he’s been rather overshadowed by fellow Belge Georges Simenon. It’s so bad that some academic call Steeman the Belgian Simenon, forgetting that Simenon was Belgian himself! But in my opinion, Steeman was a terrific talent—certainly The Murderer Lives at No. 21 is one of the all-time greatest detective stories ever written. 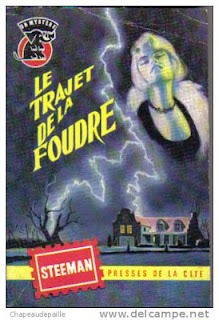 So if you know French, or maybe another language and have access to Steeman translations, I encourage you to take a look. I doubt you’ll regret it. Doesn't reviewing these foreign mystery make you feel like a tour guide who lost his group? I will make a serious attempt in 2013 to acquaint myself with Steeman. I hope you enjoy Steeman. I really highly recommend THE MURDERER LIVES AT NO. 21. It perfects a plot twist that I never liked before reading that book. The movie is also pretty good, but due to character and story compressions, the twist loses a key part of its brilliance (including its terrific central clue). I've also heard nothing but good stuff about QUAI DES ORFEVRES/LEGITIME DEFENSE. Hello Patrick. This is my first time commenting on your blog, and first of all I must say that it is very enjoyable. Your reviews are a lot of fun to read, and I have certainly taken some of these books into consideration for the future. Your blog has inspired me to very recently start my own. My blog, "The Consulting Detective" will focus on Sherlock Holmes and will feature reviews and thoughts about topics relating to the great detective. I was hoping if you might consider adding a link to it on your site. It would be much appreciated. I have included the web address for the site as well. Again, I have enjoyed your blog immensely and I look forward to more in the future.